I've been so obsessed with Asos lately! I literally check the 'new in' section a couple of times a day. I'm not sure why, because I know that it most likely will not have changed, but it still entertains and excites me. I really love all the Asos branded clothes as well, they're well priced and good quality! I usually save items for a few months, and then save up and buy the things I still like. I thought I would show you a few of the things I've got my eye on at the moment. 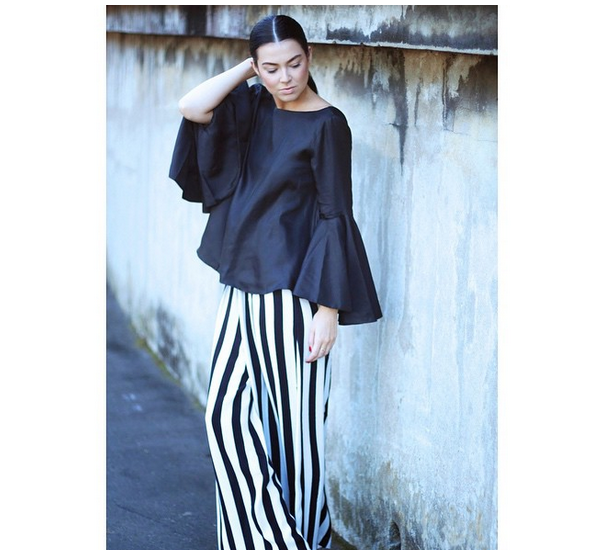 One of my fav Aussie bloggers- Jessica Stein wearing the amazing 'tattoo print top' from Asos. I also love the matching skirt in this print! Now I can't decide which one I want more? Or shall I get both? Asos Uber High Waist Denim Tube Pants! These are only $45...ish. I think they're a nice alternative to the overly popular American Apparel Disco Pant. Asos Humble Flatforms! I love these, i'm just fighting with myself about if they're suitable seeing as we're just coming into winter in Australia :'( For only $45 they're something a little different to the casual sandal. Asos Attack Leather Ankle Gladiator Boots! I CAN'T BELIEVE I MISSED OUT ON THESE! They're so amazing, and I had them in my basket ready to buy when they were still in stock. For some insane reason, I decided not to get them?????? Now I totally regret it and am waiting for them to come back in stock...I know it will be soon! These are around the $100 mark, so not too pricey, and probably pretty good value for what you get! They're like the amazing brother to the Balenciaga cut out boots. Asos Midi Bodycon Dress in Stripe. I love this dress and have been eyeing it off for quite some time now! I think these longer length bodycon dresses look amazing on. For $63 its not cheap, but a lot better than Topshop for example. Asos Biker Skirt in Leather. I HAVE WANTED THIS SKIRT FOR SO LONG! But for $150 I just can't justify buying it ;( I'm waiting for it to come on sale, and as soon as it does it's mine! It reminds me of a very Christine Centenera look, and I think it would look amazing with everything. Can't wait for this to be my best friend forever and ever and ever and ever. Even if I don't wear it everyday, I think i'll get enough joy out of just looking at it.